Five photographers from Magnum - Abbas, Jim Goldberg, Susan Meiselas, Mikhael Subotsky and myself - were invited to Morocco by the Marrakech Museum of Photography and Visual Arts (MMPVA). We spent a swift seven days making new work before producing a pop-up exhibition in their temporary space in the El Badi Palace. Construction of the new museum, which will eventually be the largest photography gallery in Africa, will begin soon. My own approach was led by my equipment, an (on-loan) Phase One back paired with an Alpa body. The camera allows two images to be made side-by-side which are then stitched together in Photoshop. Its resolution, two images of 80 megapixels each, enabled me to retain a discreet distance and, after a time, I seemed to become almost invisible. In a city much over-photographed by tourists this method felt both sensible and appropriate, given the impossibility of being anything other than a tourist myself. 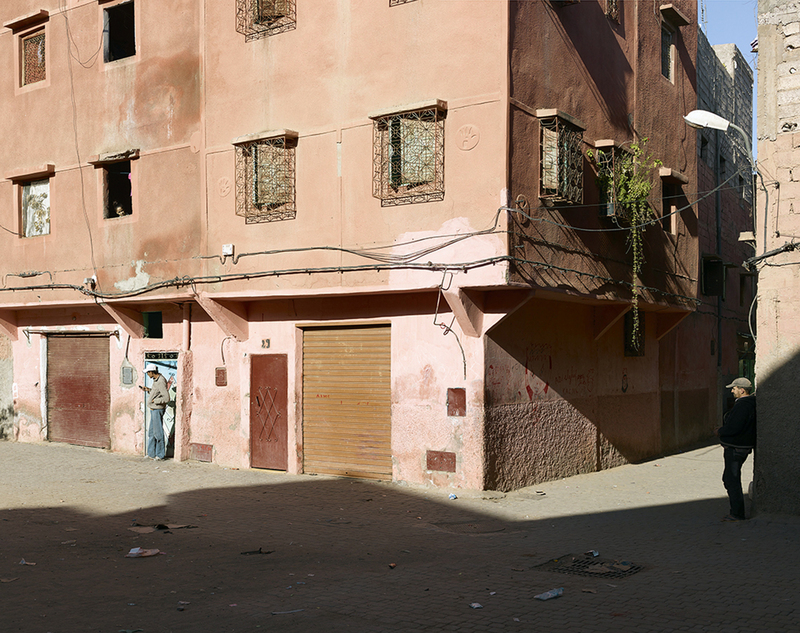 I revelled in the beautiful, shambolic mess that is Marrakech, viewing the city as a stage, the play a series of scenes within scenes, pictures within pictures.